…But now that I get to thinking about this whole Fat Tuesday mentality, I’m kinda of wondering if maybe that’s not what would please God. I mean, my whole thing has been about Him changing my mind, my heart, my soul. Wouldn’t that be just like me turning my back on Him pretty much as soon as He has delivered me into the promised land? Which is so much of what the Israelites did when He dropped them off. After the generation that had been wandering in the desert died off, the people started worshiping other idols in no time. And God was NOT pleased with that scenario. I’m reading through Judges right now and it seems like any time one of the judges gets the people back in order, everything is good, then he or she dies, and everyone gets right back into their mess of looking somewhere other than God. And then He punishes them. Yeah… I don’t want that. And wow – reading that now, after my weekend of… gluttony… I’m even more assured that sticking to a more strict covenant is what is right for me. It was one thing for me to have a night off in California when I didn’t have a lot of options, but it was an altogether DIFFERENT experience being here at home AND baking a bunch of sugary treats! I just… lost control. No, I gave up control. But either way, I let myself get into a Fat Tuesday Mentality of I have to “sacrifice” the rest of the year so I should be able to eat whatever I want and as much as I want during this “off” day. And it was just a terrible, terrible time. I mean… I didn’t even really enjoy it because it was all about breaking the rules instead of celebrating in what God had done. I knew that the only sugar I was supposed to have was at my husband’s birthday PARTY (cause that was the agreement that I made with God), but I started eating sugar the night before while making all of his cakes and cake balls and red velvet cake popcorn. On Saturday morning, I tried to get back on the right page and I was resisting eating one of the cake balls that I had made for him, but I eventually gave up and ate one.And I think that’s when I first started lamenting what was going on. I was “fighting” with those cake balls. I hadn’t “fought” with sugar for so long. It was horrible. It was extra horrible because I gave in. My mind immediately told me: See. Nothing’s changed. Just live it up and give in. You can just get back on track tomorrow and no one will know the difference but you. And then at the party I was too busy to eat, but I did load up on my dessert plate… But WHY? What was the point? I’d already had everything! Once I got everyone to bed then I ate some more, although not too much, I was stuffed and exhausted. Then Sunday… oh my. Sunday I ate and ate and ate and ate and ate and ate until I was, quite literally, sick. I ate TRYING to make myself so full that I couldn’t eat anymore. I wanted to stop eating all that junk and I knew felt that getting obscenely full or eating everything was the only way at that point. I finally collapsed into bed, feeling horrible and sick and knowing that I was done with sugar again. Monday would be a new day. A fresh start. A day without fighting the food. A day without sugar. A day without justification or rationalization. A day of boundaries. A day of joy and peace and comfort like I had known for the past year. And Monday was all of those things for me. Much like an Ash Wednesday will be for some tomorrow. A breath of fresh air as they step away from something that has its hooks in their soul: Diet Dr. Pepper, Facebook, television, etc. And really, I sorta “bashed” Fat Tuesday last year, but now that I sit here and think about it… the Fat Tuesday to Ash Wednesday is really such a beautiful picture of our salvation. We think we need to party it up to live, and then we step from the things of the world into a new life because of Jesus. Not condoning Fat Tuesday for those reasons, but… really, salvation is just this exact process for all of us. The main difference is, we don’t have to keep going back to Fat Tuesday year, after year, after year. 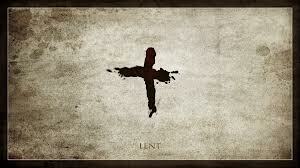 We can live a Lent life… all the time. You read my mind!! I was about to post about lent! I will put a pic of us in my post. Love you! I think red velvet is a February baby thing because I had red velvet toooooo!